Lauren joined the MVH family in September of 2017 as the hospital manager. She has been a hospital manager since 2014 and a general store manager for many years prior to that. Lauren has a Bachelor’s of Science from the University of North Dakota and is currently pursuing an MBA from SNHU. Her career in the animal field began as a dog groomer and she had years of experience as a veterinary assistant before finding her true passion of customer service. She takes great pride in the amazing team here at Merrimack Vet Hospital and loves helping the staff achieve their goals. Lauren enjoys spending time traveling with her family and friends as well as roller skating. Her home if full with three dogs, two cats, and a Guinea Pig. Her passion is listening to our clients and helping them find the best solutions to care of their pets. She believes in many ways, animals are the best part of our lives and everyone should have the opportunity to experience great pet ownership. Victoria has been with Merrimack Vet Hospital since January 2016 as a Client Service Specialist. Her outgoing personality gives her the ability to convey warmth and knowledge towards our clients and address whatever their needs might be. She feels lucky to have the opportunity to make a positive difference in the relationship between owners and their pets. In her free time, she enjoys cooking and traveling as well as spending time with her three kitties Elora, Freya, and Minerva. Sue joined the MVH family in the fall of 2012 and worked as a veterinary assistant, most recently she has joined the customer services team at the front desk. She grew up in Merrimack, and her journey with animal care and behavior began as a teenager riding and training Morgan horses. Sue’s first dog was an Australian Shepard and she has since had a variety of dog breeds including Great Pyrenees and Siberian Huskies. Currently she has four dogs, an Aussie name Ripp, a Border Collie named Ping, a Chihuahua named Cheech, and a Chihuahua mix named Kirby. She has also shared her home with cats and exotics such as rats, ferrets, and several lizards! Sue appreciates the unique joys and challenges of different animals, and strives to help the team in providing the best care possible for your pet! Candace is a Licensed Veterinary Technician from Central New York who joined the Merrimack Veterinary Hospital team in 2016. She graduated from SUNY Canton with an A.S. in Veterinary Science Technology, then went on to SUNY ESF and graduated with a B.S. in Wildlife Science. Candace has been working as a Veterinary Technician since 2011. 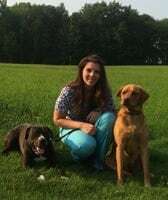 She is passionate about working with animals of every species, educating our clients so they can be the best pet parents they can be, and working in surgery with a focus on anesthesia safety. 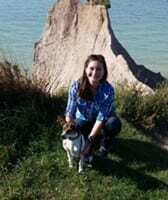 Candace lives in Southern New Hampshire with her husband Brian, their Jack Russell Terrier Mix, Marina, and their cat, Alfredo. When she is not working, she can be found hiking with Marina, boating, traveling, or curled up with a good book. Stephanie is one of the Certified Veterinary Technicians here at Merrimack Vet Hospital. She joined the team after her internship and has been in the role for just over one year now. Steph graduated with an Associate’s Degree in Veterinary Technology and Science from Holyoke Community College. Her passion is client education and making sure our clients have all the information they need to make the best decisions for their pets. In her free time, she loves to travel whenever and wherever possible, but she is also happy just hanging out with her cat Simon and her dog Jackson. Hannah has been working at Merrimack Veterinary Hospital as a Veterinary Technician since 2015. She graduated from the University of New Hampshire with an associates in Veterinary Technology and a specialty in small animal care. Hannah grew up on a small farm and has always had a passion for animals. She takes great pride in her ability to educate clients, assist the doctors in surgery, perform various types of lab work and provide care and comfort to our hospitalized patients while they are away from their families. Her hometown is Dunbarton, NH where she lives with her boyfriend and their two-year-old son Easton. She has two dogs, Brewskie and Ryder, two cats Boka and Fat Boy, and a bearded dragon named Rex. In her free time Hannah enjoys time with her family and going to their camp on Lake Winnipesaukee during the warmer months. She hopes to take the national exam this year and become a CVT. Sarah has been a part of the MVH family since 2012. She studied Animal Science at Becker College and Great Bay where she earned an A.A.S. as a veterinary technician. Her work experience as a Veterinary Technician over the past 10 years has been in both emergency and general practice. Sarah enjoys training and helping individuals grow in the field. Her passions include pain management, neurological disorders, and dentistry. You can find her most often in our dental suite taking x-rays and cleaning your pet’s teeth. If your pet meets Sarah she can’t help but take a peek at their beautiful smile. In her free time, she enjoys spending time with her husband and three boys. Her four-legged family includes Peddler a Soft Coated Wheaten Terrier, Penny a Black Lab mix, and Lincoln a Bernese Mountain Dog. Samantha has been working at Merrimack Vet Hospital for a little over four years. She graduated from Great Bay Community College in 2016 and has just recently become a certified veterinary technician. 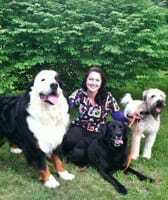 Sam has three beautiful dogs that she spends most of her time with at home. She looks forward to treating your pets! Cheyanna has been a Veterinary Assistant for 9 years and she is a wonderful part of the Merrimack Vet Hospital team. Cheyanna loves to help owners and their pets with whatever their needs might be, no job is too small. She has two dogs of her own, Mikey and Denny both of which were rescues. Cheyanna also has a two-year-old son named Landon who always keep her busy, and her favorite past time is going for walks at her campground in Auburn, NH. Brianna joined the Merrimack Vet Hospital team in February 2016. 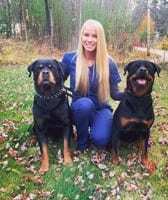 She began working here as a Kennel Attendant and through hard work and on the job training she has moved into the position of Veterinary Assistant. 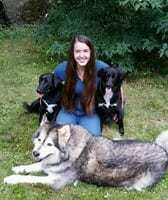 Brianna studied Veterinary Technology at Mount Ida College and Penn Foster. Her hobbies include traveling, reading, and caring for her own animals. She has three dogs, three cats, two turtles, and a rabbit. 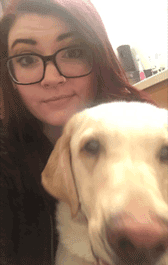 Brianna enjoys caring for animals and is very passionate about animal health. 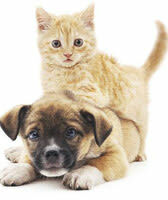 Her focus is to help your pet be as comfortable as possible during their visits. Rachel joined the MVH team in 2014. She started out as a kennel attendant and then worked her way up to customer service representative and now she is working on becoming a veterinary assistant. She has hopes of growing more in this field by becoming a Certified Veterinary Technician in the future. Rachel has been a huge animal lover her whole life and to this day cannot live without a furry friend in her life. She truly enjoys caring for all of the different pets we see here at MVH and loves interacting with their families and making a lasting connection. When Rachel is not working she can be found spending time with her husband and their dog Beya. Mia has been with Merrimack Vet Hospital for a little over two years. She started here as a kennel attendant and then transferred into the customer service role at the front desk. Currently she is working as a vet assistant while attending school to become a vet tech. She has had a passion for animals since she was very little and couldn’t imagine doing anything else. Mia really enjoys coming to work every day knowing she is making a difference. Christine has been with the MVH team since 2016 as a veterinary assistant. She has worked in the veterinary field since 2001, and originally started out as an exam room tech at her previous location where she worked for 9 years in Massachusetts. Christyne moved to New Hampshire back in 2015 with her teenage daughter Amaya and their furbabies Misty, Minnie, and the newest addition Jasper. She can be found in any area of the hospital from the front desk to the pharmacy and even in rooms. She enjoys working with people just as much as the animals. When Christyne is not at work her free time is spent with her daughter and family. 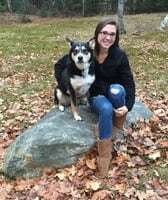 Taylor has been working at Merrimack Vet Hospital since April 2018 as a kennel attendant. She is currently enrolled in the Veterinary Technician Program at Great Bay Community College and her goal is to become an equine veterinarian. Taylor’s passions are horses, dogs, and working outdoors. She enjoys barrel racing in rodeos as well as working on diesel trucks because she is a welder. Doug joined the MVH team in 2011 and has been an invaluable part of our kennel crew. He has over 20 years of experience in dog handling, from doggy daycare to dog training you can tell that Doug’s true passion is working with canines. You will often see Doug overseeing our dog daycare or fetching animals from our kennel when their owners come to pick up. Many of us around here refer to him as, “Super Doug.” When he is not working Doug takes pride in helping his mother, going to the gym, and playing video games. Sherri is the most senior member to the MVH team with over 26 years of services as our resident dog groomer. Sherri is known well in the town of Merrimack for her skilled and professional grooming techniques. She grooms both dogs and cats, and has many faithful clients that enjoy visiting with her when they drop their pets of for a spa day. Make sure to give her a wave through the grooming window next time you are in. Xiomarah has been working at MVH since November of 2017. She is currently the Kennel Lead and spends most of her days in Doggy Daycare or Dog Training sessions. Xiomarah has always had a passion for animals since she was young and knew a career with animals would be the best path for her. She attended the University of New England, where she graduated with a Bachelor’s of Science in Animal Behavior. She has spent the past few years training and working with various animals but began focusing on dog training about 3 years ago. Xiomarah absolutely loves spending her days with animals and has an especially great time playing with all the dogs in daycare and boarding. Her hobbies include hiking, paddle boarding, surfing, and reading. When she is not at work, you will most likely find her walking trails with her Australian Shepard Mollie. Xiomarah hopes to grow the doggy daycare and dog training program here at MVH to help make caring for your animals even easier by providing behavioral care in addition to the amazing medical care your pet will receive here.